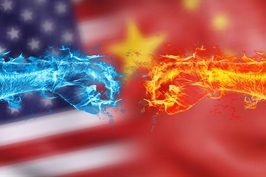 (Beijing) — Beijing has threatened to make U.S. natural gas the next casualty of the U.S.-China trade war as the Chinese government showed it is willing to turn the energy sector into the next battleground, despite the damage it would likely cause to the economies of both sides. China’s Ministry of Commerce announced on Friday that it would levy duties ranging from 5% to 25% on 5,207 American imports if the U.S. followed through with threats made last week to impose tariffs on $200 billion of Chinese goods. U.S. liquefied natural gas (LNG) was among the most striking inclusions on the list, given China’s ballooning dependence on imported gas. The ministry’s proposed tariffs could not take effect before September, and no decision has been made, a spokesman said in a statement (link in Chinese). Beijing demonstrated its willingness to put commodities vital to its own interests on the front line by slapping tariffs on U.S. soybeans when the trade war erupted at the start of July. 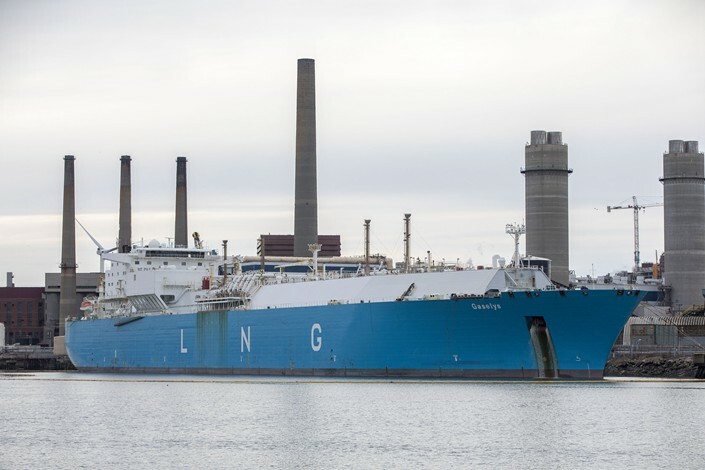 Tariffs on U.S. LNG exports had been thought unlikely, however, given LNG’s place at the heart of Beijing’s own energy plans as it seeks to wean itself off highly polluting coal power plants. LNG consumption rose by 46% to 38.13 million metric tons last year, allowing China to surge past South Korea to become the world’s second-largest LNG importer after Japan. 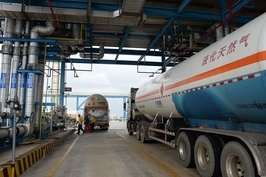 In April, state-owned oil giant China Petroleum and Chemical Corp. announced plans to more than double its annual natural gas and LNG capacities to 60 billion cubic meters and 23 million metric tons respectively. The development and rollout of fracking technology across the U.S. has rapidly turned the country from a net energy importer to exporter in the last decade. Increasing LNG exports to China is seen as a major way for the U.S. to reduce its trade deficit of $376 billion with the world’s second-largest economy. 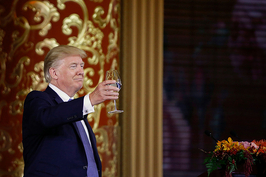 U.S. President Donald Trump appeared to signal he had as much in mind when China Petrochemical Corp. signed a $45 billion deal to develop energy resources in Alaska. The same month saw China Energy Investment Corp. Ltd. sign a major deal to develop shale gas reserves in the state of West Virginia. China took in 15% of U.S. LNG exports last year, data from the U.S. Energy Information Administration shows. Yet with U.S. export capacity expected to almost quadruple by 2020, there is plenty of room for the market to grow, according to a paper co-authored by Ye Qi, director of the Brookings-Tsinghua Center, a Sino-U.S. think tank. Despite the advantages of an increased energy trade with China, U.S. foreign policy may be encouraging Beijing to secure energy sources and take opportunities elsewhere. Several reports indicate that state-owned China National Petroleum is preparing to take over oil major Total SA’s 50% stake in the South Pars gas field in Iran after the resumption of U.S. sanctions on the country led to the French company’s withdrawal in May.